Did Japan ever attack Vladivostok in WW2? Why or why not? That's a screenshot from Battlefield Season 4 Episode 3. I added the location of Vladivostok. In all my readings, I have never found a Japanese attack on Vladivostok during or right before WW2. You can see the city is very exposed and very near both Japan and Manchukuo, so I wonder why. The skirmishes that culminated in the Battle of Khalkin Gol took place in 1938 and 1939. Why didn't Vladivostok come under attack from the Japanese Navy? Surely they didn't think much of the Soviet Navy since Tsumisha Strait. The Soviet Invasion of Manchuria took place in 1945 Aug 9 to 25. Why didn't Vladivostok come under some form of attack at least from the air? Did the Soviets heavily fortify this city with AA guns or something along those lines? the battles (Lake Khasan and Khalkin Gol) did not start as part of a premeditated attempt to invade the SU but were border skirmishes that escalated. the Kwantung Army had been operating in a semi-independent way for a long time; in fact a major part of Japanese held China had been conquered without government orders. the Japanese government was still debating between "going North" (Soviet Union) or "going South" (Pacific). Relationships between Japanese Army and Navy were, to put it mildly, dysfunctional. A victory a Khalkin Gol would help the "going North" side (which was the Army), and the Navy was in the "going South" side. Without government approval it would have been very strange for the Navy to act on its own to help the Army. Between the start of hostilities (September 9) and Japan's surrender (September 15) less than a week happened. At that time, Japanese HQ did not only have to deal with the news of the Soviet invasion but also the effect of the Hiroshima and Nagasaki bombings. While the Japanese expected the the SU would attack them, they expected the attack to be a few months later. The Japanese had a crippling lack of fuel to conduct operations. Fighters were used either to defend against USA air raids or as kamikaze planes, bombers were converted to kamikaze planes. Anything that was available was being used or earmarked to defend against the invasion of Japan itself. As you mentioned, the Soviet Union Pacific Fleet was not an impressive force. Certainly, the Japanese would have feared what it could do way less than the combined USA/UK fleet they were already fighting. Diverting resources from fighting your real threat to attack a nuisance is not sound strategy. Traffic by sea was very difficult due to USA action, so supplying/reinforcing the Manchukuo garrison was nearly impossible. And the Soviet advance had been fast and had destroyed the Japanese Army fighting ability quickly. It was a lost cause. The Japanese home islands were at risk of being invaded. Even if those could have been delivered and turned the tide (or at least stopped the invasion) at Manchuria, weakening the defenses of your main territory is a dangerous proposition. Japan was faced with a choice in 1940: attack the Soviet Union in an escalation of the border clashes, or attack south to capture the Indonesian oil fields and Indochina rubber plantations (rubber for vehicle tires was definitely a strategic material) in response to the US and Britain cutting off fuel sales to Japan, which threatened their ability to wage war. And attack east to disable the US Pacific fleet, so it couldn't interfere. This was the fateful decision to throw in with the Axis powers, but also sign a neutrality pact with the Soviet Union, which worked to the advantage of both countries... at that time. 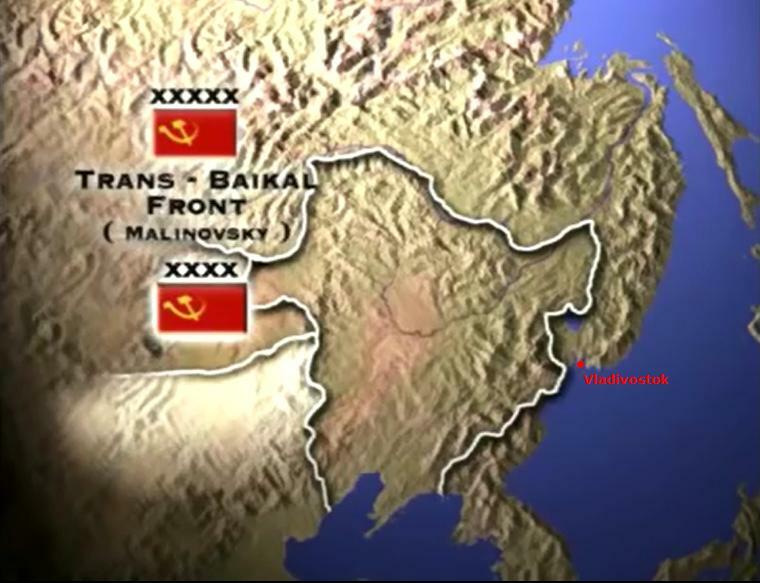 Japan had done poorly in the border clashes with Soviet forces (commanded by a fast rising Georgi Zhukov), and there weren't really any strategic materials to be had by taking eastern Russia, while the Soviets were reeling from the initial German attack and only too happy to free up most of the troops on the eastern front. One of the key individuals in this situation was Soviet spy Richard Sorge. Masquerading as a German journalist, Sorge kept the Soviet Union appraised of Japan's intentions during the initial German invasion of the Soviet Union, allowing the Soviets to focus almost all of their troops against Germany when Sorge reported that Japan had no intention of attacking northward, and that the border clashes had been largely a matter of over zealous local commanders and not policy dictated from Tokyo. Sorge was unmasked late in 1941, and executed by the Japanese in 1944. In short, Japan didn't go with a war against the Soviet Union in the early 1940's, because it wasn't in their strategic interests to do so. It would definitely have been in Germany's interests, but not Japan's. In 1945, when the Soviet Union attacked, Japan's military capability had been degraded considerably. Most of their navy was on the bottom of the ocean, and what little aviation gasoline they had was being reserved largely for kamikaze attacks on the US fleet, so they didn't have the naval or air assets to attack Vladivostok in August, 1945. On top of that, the considerable number of Japanese troops in Manchuria were not equipped to fight an armored opponent, especially not the Red Army and it's thousands of tanks, so the Kwantung Army simply didn't have the means to oppose the Soviet invasion, let alone counterattack. They didn't because of the Soviet–Japanese Neutrality Pact. The Allies agreed (in Yalta ???) that the USSR should as soon as possible attack Japan, which they did in August 1945. By then the war was already lost for Japan. Before that Japan got a bloody nose at the Battles of Khalkhin Gol in 1939. Japan decided to go south to Pearl Harbor as the result of that border conflict instead of going east into Siberia. Not the answer you're looking for? Browse other questions tagged world-war-two soviet-union japan warfare or ask your own question. Why didn't Imperial Japan attack the Soviet Union during World War 2? Did Japan ever pay Russia war reparations after WW2? Why or why not? Why didn't Russia and Japan sign a peace treaty after WW2? Were the Axis Powers really obligated to attack USSR and USA? Why did Japan fail to interfere with shipping from America to Vladivostok from 1941-1945? Why was Japan not worried about Soviet invasion during WWII? Why did the Soviet–Japanese Neutrality Pact take 2 years to sign after the Battle of Khalkin Gol? Why didn't Japanese attack Soviet Union simultaneously as the Germans? Why didn't Japan attack communist China in WW2? Why did this post card not allow communication with Japan?